Recently Walsingham Support was delighted to receive a kind invitation from our Patron, Baroness Richardson of Callow, to personally give a guided tour around the Houses of Parliament to a group of people we support. As a charity, we work to increase the quality of life and happiness of every person we support and the chance to take part in cultural trips and other activities is something we work towards making available. This was a chance to see how politics works first hand and how the laws that affect support are discussed and made. 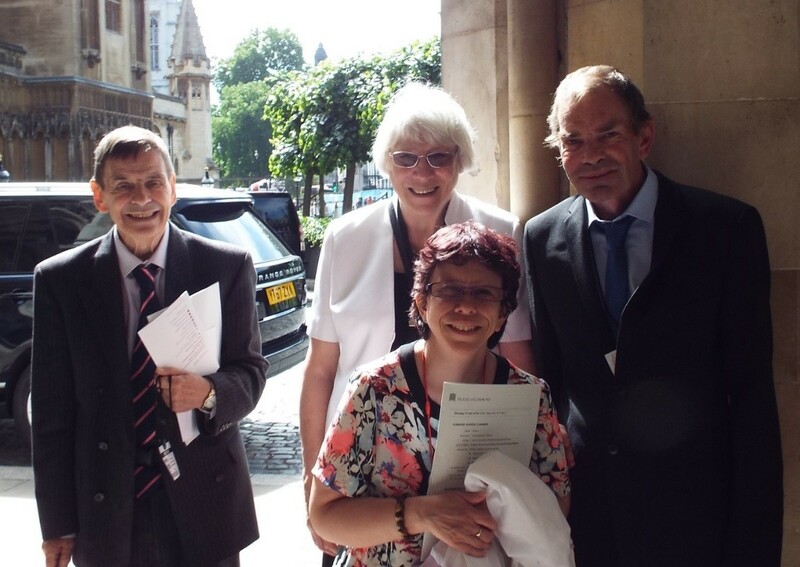 On 11th June, a group of three people we support with an interest in politics and staff joined the Baroness, who as a Peer, was able to secure privileged access inside the building. She showed them around the historical points of interest through the halls, corridors and rooms and fielded their questions. Later, the group witnessed question time at both the House of Lords and the Houses of Parliament, as well as a debate on the armed forces and security. "I liked the whole day, especially learning about the history of Parliament. It’s important for people to know how Government and Parliament work, and to know about their civil rights. More people with disabilities should get involved." Following the successful visit, we are looking into the possibility of a larger group of people we support visiting the Palace of Westminster later in the year. We thank Baroness Richardson for hosting such an engaging tour. The Baroness was also a guest at our annual Involvement Conference last year, where she saw how the people we support guide how we run our charity.